Angel is the most beautiful smell I have ever smell.. It's sweet with other spices that are very nice.. You'll get a lot of compliments with this fragrance it is amazing and I love it.........]5Tracey]Great, awesome, and the best perfume I've ever had!!!!!! 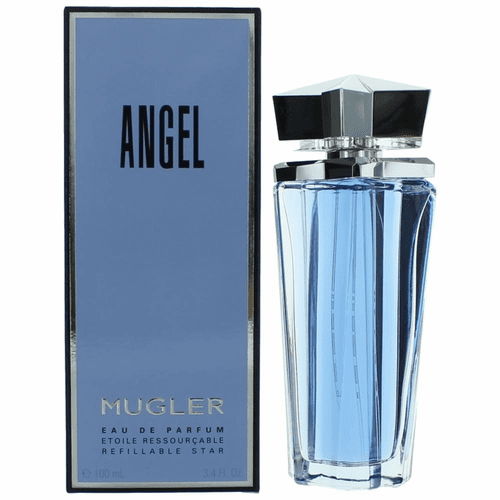 Angel is the best perfume I have ever had!!!! I get more compliments on that then anything I have ever worn before. You would also be amazed by how many women KNOW the name of the product and who designs it. It might not be the one for you but, wow, is it the one for me. ]5Angel]Angel Must Be A Heavenly Fragrance!!!!!!! Angel, is a special fragrance, for special women, like who I am!!!!!!! My motto is, don't leave home without it(Angel that is). Thank you for being the perfume spot for all fragrances, especially Angel. ]5Trisha]Love it! Love it! Love it! I have been wearing Angel since the early 90's. I used to wear Obsession. After getting my first bottle of Angel as a birthday gift I gave away the Obsession I had (a full bottle) and never looked back! Angel is my signature scent everyone knows I'm in the room if they are smelling Angel]5Merkie]Best Fragrance of all time!!!!! It never fails, when I have this on someone ALWAYS comments on it and how wonderful it smells! and just a little goes a long way! Love my Angel]5TR]AMAZING!! !